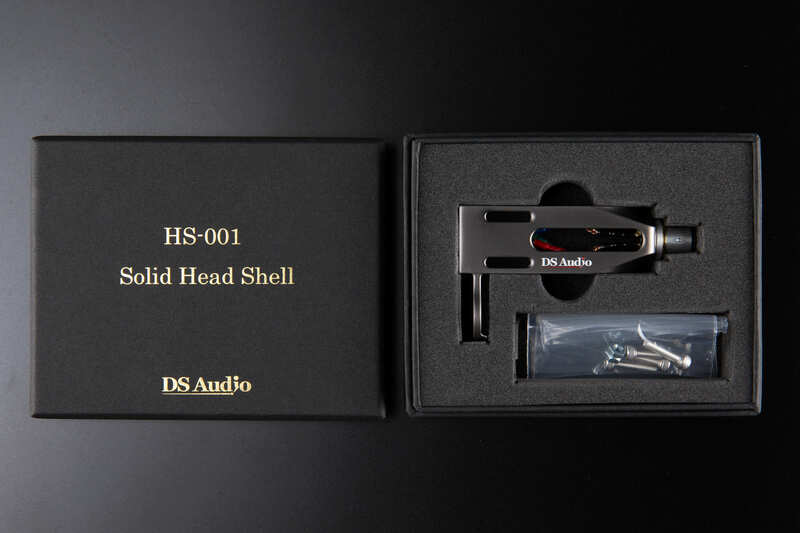 2019/1/16 DS-E1&HS-001 Solid Head Shell Shipping start! 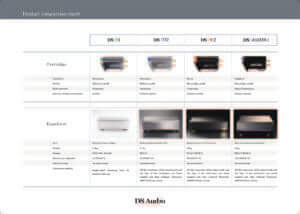 Shipment of new products began. 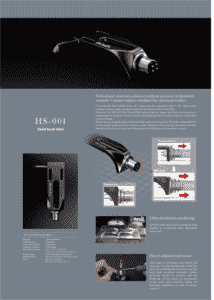 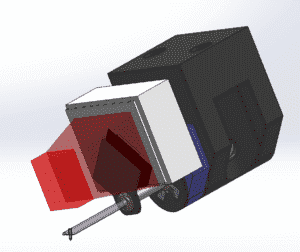 This is a video that explained the features of HS – 001 Solid Head Shell. 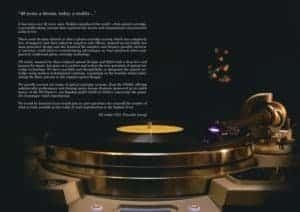 (83 seconds) Please have a look. 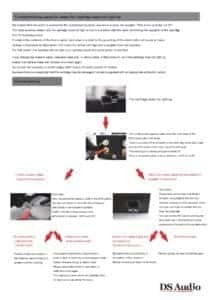 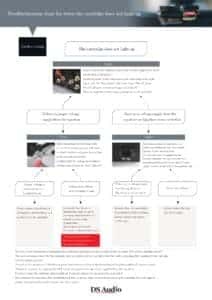 We updated the explanation page of the principle of the optical cartridge, so please have a look. 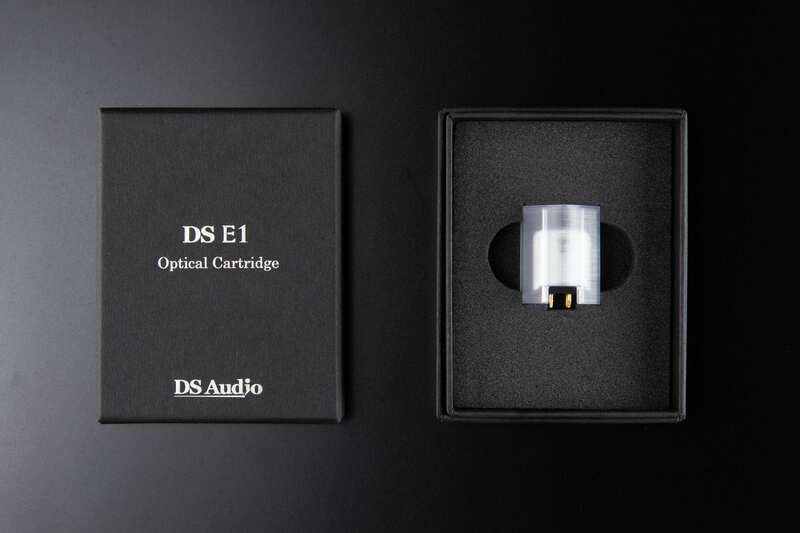 The catalog of the English version of DS-E1 and HS-001 has been completed, so please have a look. 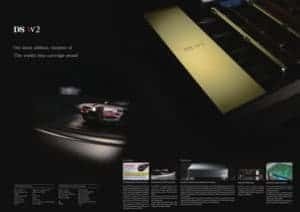 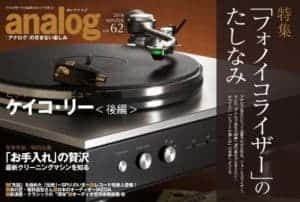 DS-E1 was used for the cover of the magazine in Japan. 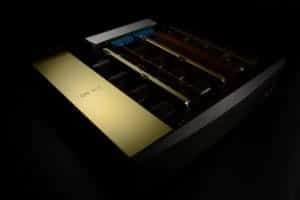 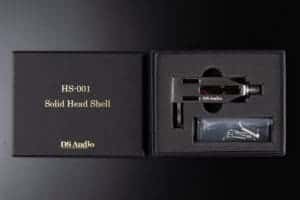 HS – 001 Solid Head Shell will be launched in January 2019. 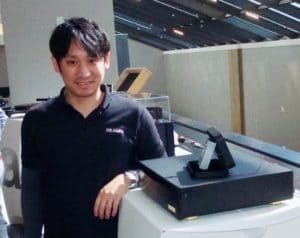 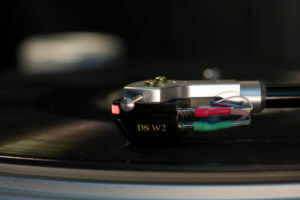 An interview article on RMAF was posted so please have a look. 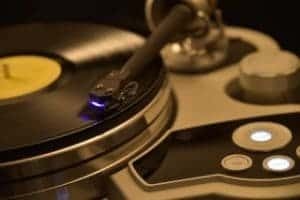 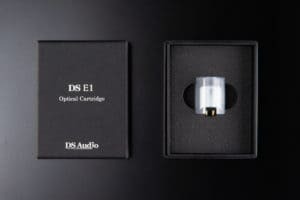 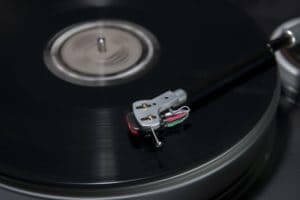 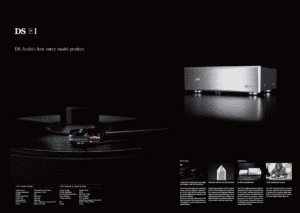 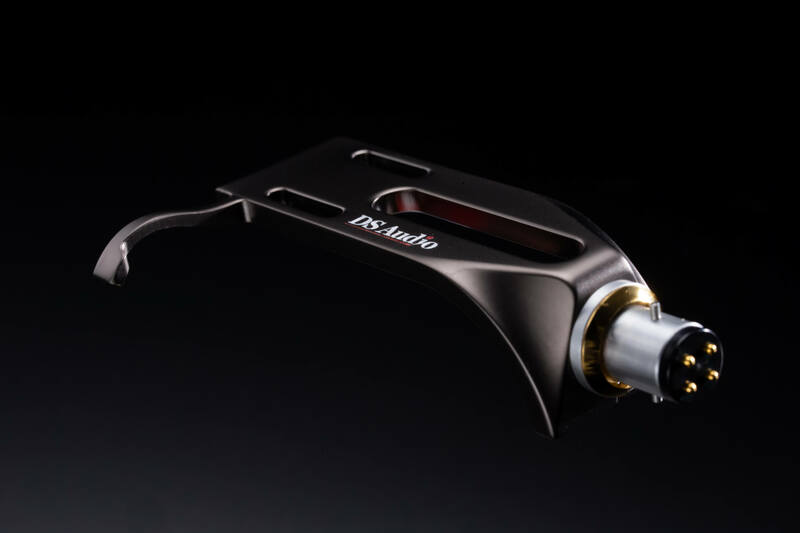 DS-W2 optical cartridge won the 2018 stereo sound Grand Prix.  Following DS Master 1, DS 002, it will be the third consecutive year of winning the stereo sound Grand Prix. 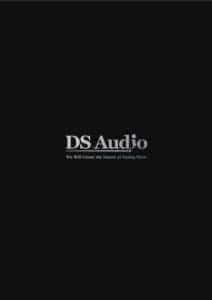 2018/4/20 DS Audio new catalog is available now. 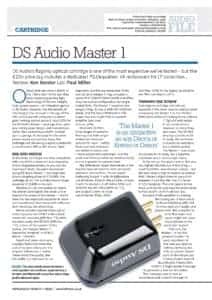 2018/2/5 DS Master1 and DS002 review is available. 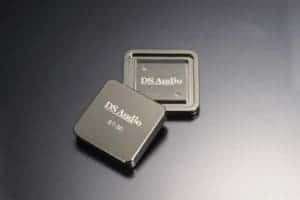 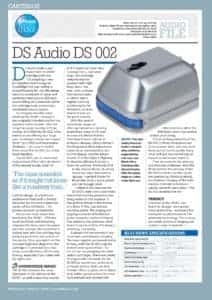 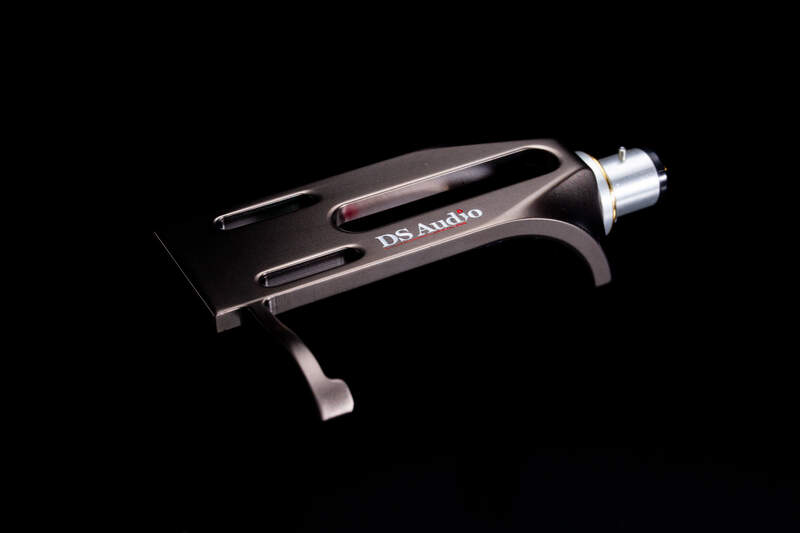 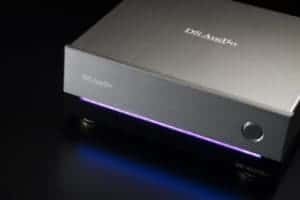 You can read Hi Fi news DS Master1 and DS002 Ken Kessler’s review(English) is available. We will release our new products DS-W2 and ST-50 Stylus cleaner . 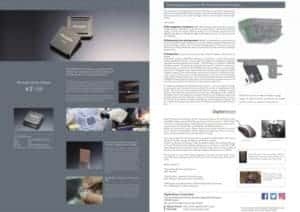 Please check the details on the website. 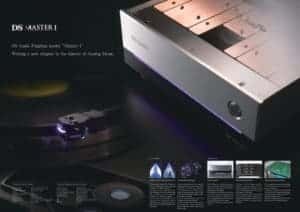 Munich High End show 2017 Tech Stage demonstration video. 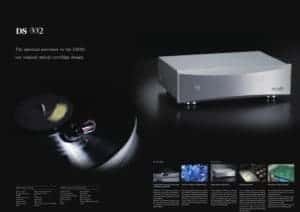 ↑Munich High End show 2017 Tech Stage demonstratino.